This afternoon I made pictures of one male and three females of Austrolebias charrua (Los Naranjales). They’ve been outside for almost three months now, and I’m happy to see they do well. Charrua is a real beauty and always a pleasure to find in your net in the field. There is quite a bit of colour variation, even between different generations of the same line. The flanks can be gold or grey, it is unclear to me what would cause that. 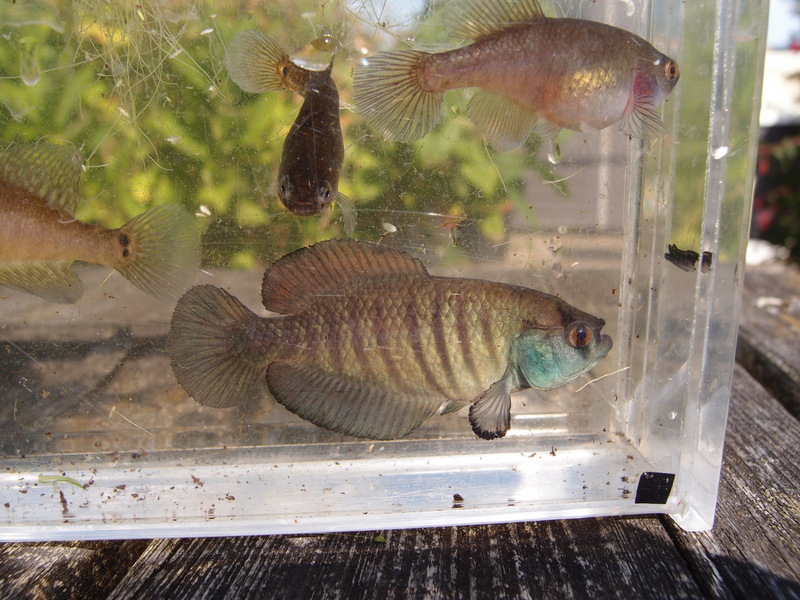 Females can vary quite a bit in colour pattern, even on the fins. It often happens that I mistake a female for a young male.